We were supposed to travel to Nairobi today. But. I was tired. Andrew was as well. Our “quiet” room didn’t turn out to be so quiet, and we barely slept through the night. We decided to stay in Kampala and relax and I tried my best to catch up on the blog. Really, all we did was walk out to get bus tickets- then walked longer to a Mexican restaurant Andrew found on TripAdvisor (it wasn’t bad) and then sat in the dining area of our guesthouse/hotel on our computers. It. was. exciting. Again, I wanted to take more pictures and video with my camera. Like of the shady bus ticket-office we went to, and of the girls that ended up walking with us back to our hotel… But I just didn’t feel comfortable taking my camera out. I’m guessing this is going to be an issue while we’re in Africa. If only there was a way to have a disposable, yet digital camera? Does that exist? If so, I want one. And not because we didn’t want to leave… we were ready to move on, but we quickly learned that leaving The Hairy Lemon Isn’t Easy. At. All. Getting a ride to “mainland” was fine, but then we felt slightly stranded with no boda bodas to be found and a giant angry pig chasing after us. We walked to an intersection of sorts where two huts sat by the side of the road. One friendly man smiled and I asked him where we could find a boda boda. He pointed in the direction back towards the river, and we walked back in what felt like the opposite direction we were supposed to go in. Luckily, there were a few men by the riverside and one got on his phone to call some friends to come give us a ride. They (as expected) charged us more than the fare we paid to get there, but we didn’t exactly have room to negotiate, and we climbed on our respective boda boda for another bumpy ride back to Nazingo to catch the first matatu of the day. I wanted to photograph everything. Desperately. But, I didn’t feel comfortable at all on the super poor road we were on to whip out my dslr. Babies sans underpants sat in front of their houses. School children waved as we rode past. Women gathered at wells to fill their jerrycans up with water. Despite clinging to my backpack and back of the boda boda for dear life, it was a beautiful ride. Apologies that the video above isn’t as entertaining – it was taken instead on the main road we took from Jinja back to Kampala. 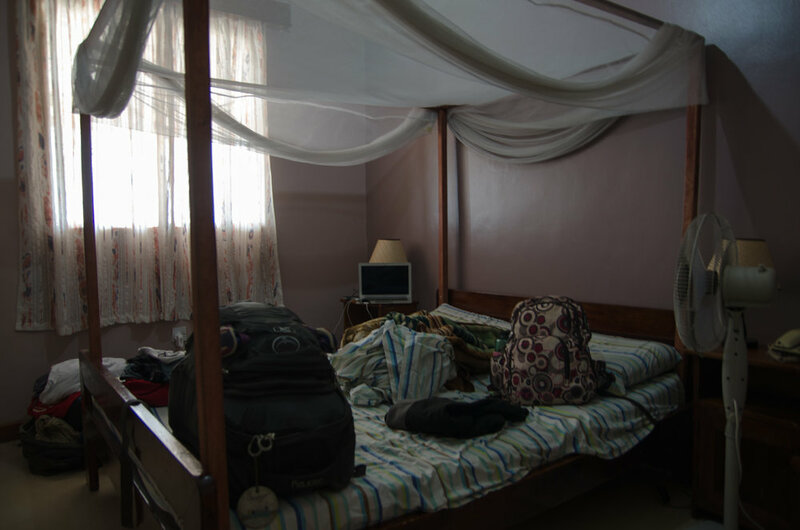 Back in Kampala, we went back to the noisy downtown guesthouse, and were granted what we were told would be a quieter room. Regardless of the noise, I have never been so grateful for a white porcelain toilet in all my life. At the Hairy Lemon, there were eco toilets, think: plastic box with a hole straight down to the ground below. It’s a really great idea. Truly. There are even buckets of ash to cover any solid waste that you might leave behind. (Unfortunately, our bucket in our dorm bathroom was without ash until the last afternoon we were there.) There was also a resident gecko that I’m pretty sure enjoyed the shade between the toilet seat and lid. He liked to scare me every time I went into the bathroom. Thinking I was one step ahead of the little guy, I prepared myself to meet his acquaintance and gingerly lifted the lid, shining my light around the toilet to scare him off, so I could sit down in peace. When we went to Murchison Falls, a dude on our safari (Hey Christian!) raved about this place called The Hairy Lemon, on an island, in the middle of the Nile. We decided to check it out. Jinja, even though it holds the source of the Nile just outside of town, had nothing else to offer (in my humble opinion), so we thought chillin’ out on an island would be better. Just getting there turned into quite the adventure. 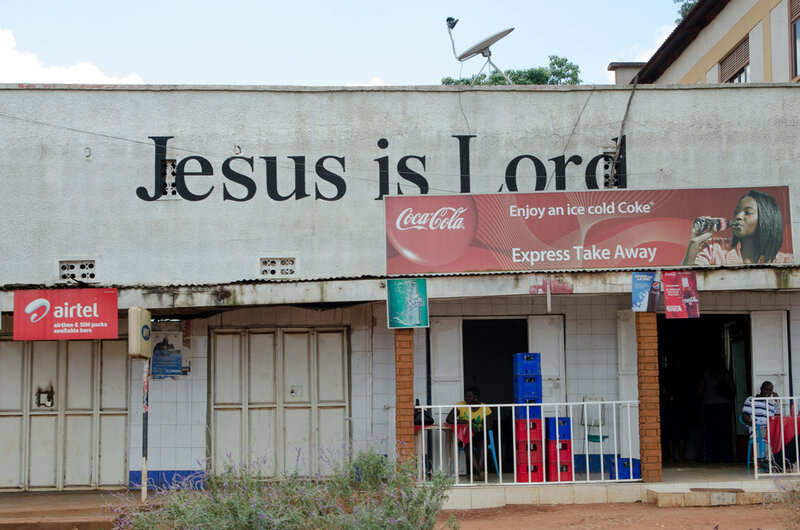 Throughout Uganda, I’ve been intrigued by the storefronts and homes (let alone the day to day life) we’ve been passing by on our public transportation. Most of the storefronts (and some houses) are covered billboard style advertising paint, phone plans, Mountain Dew, milk, etc. etc. I tried to take some pictures from our matatu from Kampala to Jinja. A series of advertisements wouldn’t be complete without one for The Lord, am I right? 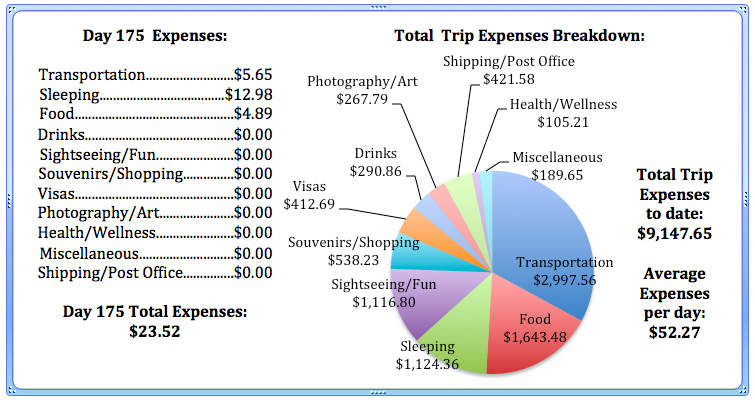 When planning out this trip, I totally underestimated how long it would take to get from Point A to B. Generally, it seems in Africa, one needs an entire day to get from one city to another regardless of how close it may be. 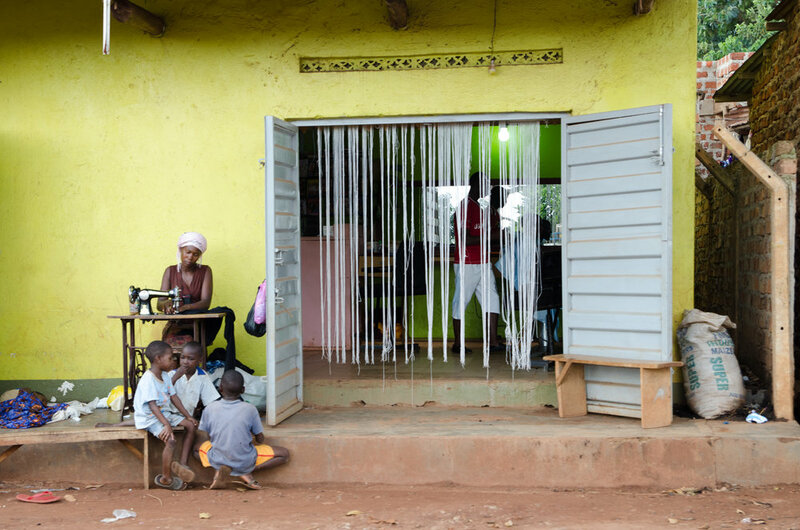 When we left Kampala for Buseesa, I knew it was only about four hours to get there, but didn’t even consider we would have to wait just as long for the matatu to fill up before we could leave Kampala. Fortunately, we arrived to the bus station in Fort Portal just in time and were one of the last people to board the bus back to Kampala. The ride itself was uneventful. Except for, maybe, the stops in between where dozens of vendors clamor up to your window hoping you’ll purchase some of their grilled bananas (yum) or perhaps a chicken on a stick. 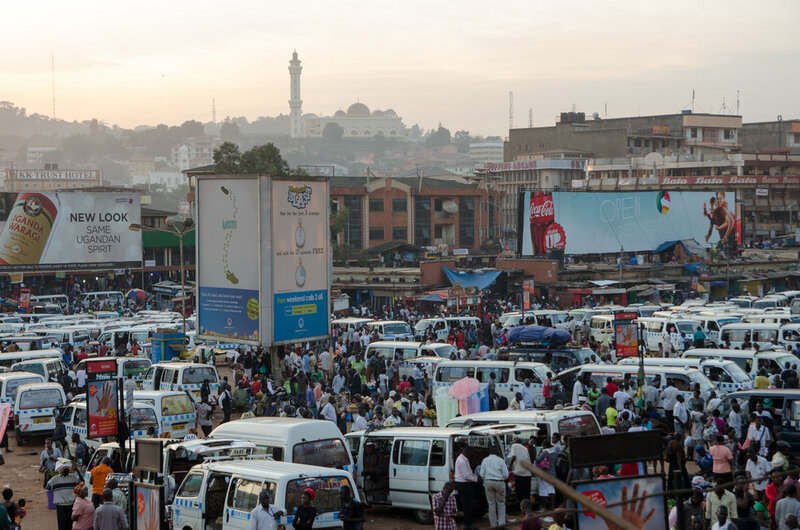 Arriving in downtown Kampala- a first for us- was anything but uneventful. Fortunately, our hotel was a short walk away and we were able to be amused by the chaos rather than getting swept up in it. Worn out by another day of travel, and gearing up for another matatu stint tomorrow, we stayed close to our hotel. We snuck out for dinner. Chips Chicken (fried chicken with french fries) yet again and I began to wonder when the next time I would come across a salad would be. Oh fresh baby greens, how I miss thee! We woke up to a knock on our door at 10 AM. We slept through checkout. At first on this trip, I would feel guilty, like I was wasting time sleeping… But now, I’ve realized that sometimes I need the sleep, especially after a long day of travel. We moved into the dorms (one night free before leaving on safari) and camped out yet again with coffee and our computers. It turned into a day at Red Chili, with a teensy break going into “town” for anything and everything to ward of mosquitos and malaria. Computing at Red Chili was slow. Rather, the Wi-Fi was super slow, and most of the time I was staring at Flickr willing it to upload a single picture faster. 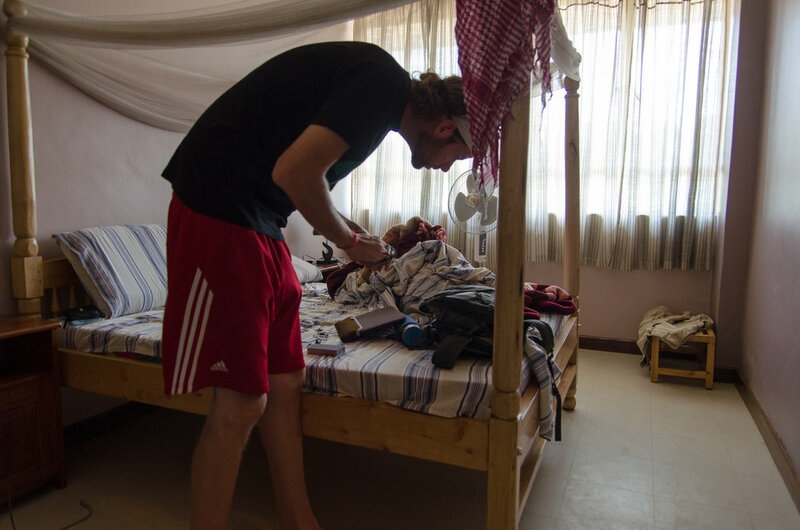 We eventually gave up and walked into town for some malaria meds, mosquito repellent, and even a mosquito net to put above our beds if a guesthouse or campsite didn’t offer one. Full disclosure: I was not planning on taking any malaria prophylactics on this trip. I haven’t taken any throughout the five years of trips around S.E. Asia… and not that I don’t take malaria seriously (because, I do) I’m just super sensitive to medications (and sometimes allergic- especially to antibiotics) that I didn’t want to be in the middle of the bush breaking out in hives or having a worse reaction. But, Andrew had decided to do some research and made the executive decision that I had to at least try taking the malaria prophylactics. I agreed. Very begrudgingly. We walked into the pharmacy and Andrew asked for Doxycycline and Artenam. The pharmacist looked at him funny and asked, “You want to prevent and treat malaria at the same time?” We both began to giggle at him. Andrew said, “Well, no… but, just in case…” And she shook her head and told him we only needed the Doxycycline (the prophylactic) for now. We got two boxes for a fraction of the price we heard others had paid for other malaria prophylactics in their home countries. 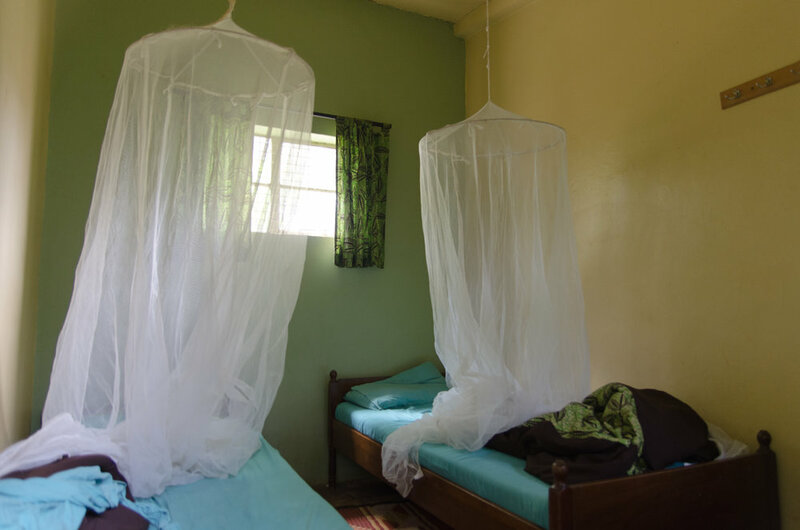 We tracked down the mosquito repellent and net, had our first taste of matoke- I was wrong in the video, I thought it was mashed potatoes before I had a bite (think mashed potatoes only made with plantains instead) in the market and took our first round of Doxycycline before we headed back to Red Chili. “Is your face burning?” I asked Andrew within fifteen minutes of taking the pill. He stopped, said he was fine, and examined my face. The area around one of my eyes was burning and I became slightly terrified I was going to go blind. Andrew asked if I wanted to go to one of the health clinics around, but I didn’t see how that would help matters. I told him we would go if I broke out in hives or my throat started closing up. Neither happened, but the burning sensation continued off and on for the rest of the night. We arrived into Addis Ababa dead tired. The airport was so packed, anyone who was standing was practically circling around the occupied lounge chairs waiting for someone to depart so they could pounce and lay down until their boarding time. Luckily we scored two lounge chairs and were able to sleep for an hour or so before our next flight. We arrived into Entebbe around one in the afternoon. It was gorgeous. After being wrapped up in a scarf and fleece for the past two weeks in Morocco, I immediately peeled off layers and dug out my flip-flops from the depths of my backpack. We grabbed a taxi and headed towards Kampala. Entebbe is something of a UN hub for Africa, therefore, it didn’t feel like we were in Uganda at all. The first twenty minutes of the drive reminded me of Kentucky in the summer, green grass, manicured lawns, brick walls between western style buildings. On the outskirts of Entebbe, things began to change. Buildings weren’t nearly as ‘western’ looking. If they were made of solid brick or concrete, they were painted over like a giant billboard advertising everything from soap to phone carriers to Mountain Dew. People were everywhere. Walking to the markets with baskets on top of their heads. Sleeping on motorbikes. Dressed in immaculate uniforms walking home from school. Sometimes a child would see us and recognize how different we looked and would wave enthusiastically. 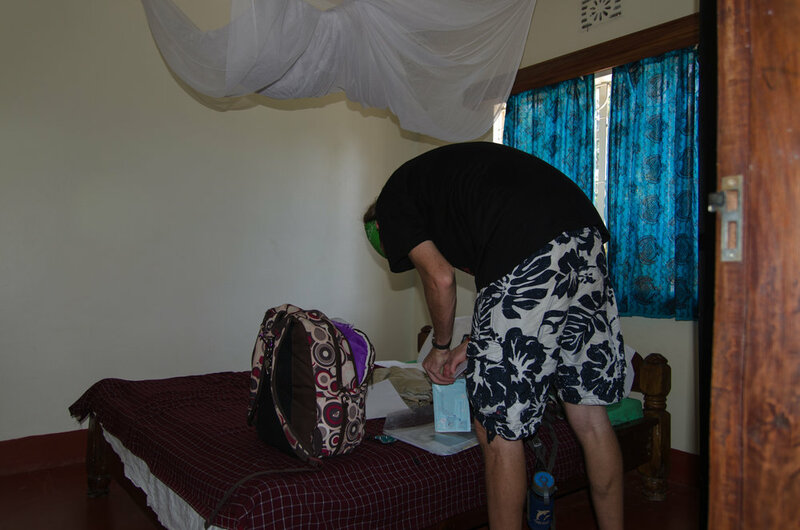 We arrived at Red Chili (our hostel/campgrounds du jour) in the afternoon and attempted to use the wifi before giving up and having dinner and climbing into bed around 8 o’clock.